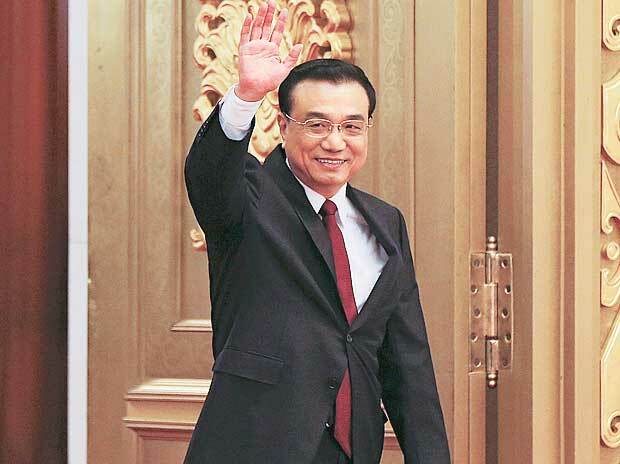 Li Keqiang: It is true that China’s economy has encountered new downward pressure against a larger backdrop of slower global economic growth. In the past month or so, several major international organisations have adjusted downward their forecast for global growth this year. We have adjusted downward, as appropriate, our projected economic growth target for 2019, and set it at a target range. This is compatible with the GDP growth rate we achieved last year. It is also consistent with our determination to prevent major economic indicators from sliding out of the proper range. By this way, we have sent a message of stability to the market. Against the backdrop of growing trade protectionism in the international environment, China’s GDP aggregate reached 90 trillion RMB yuan. Our projected target for GDP growth this year is 6-6.5 per cent. It will be a growth on top of a very large base figure. Keeping steady growth of China’s economy in itself is important progress. We must take strong measures to cope with the current downward economic pressure. One possible option is to resort to quantitative easing, including excessive money supply and a much higher deficit-to-GDP ratio, flooding the economy with liquidity. Such an indiscriminate and expedient approach might work in the short run, but may also lead to future problems. Hence, it is not a viable option. Our choice is to energize market players to counter the downward pressure. Li Keqiang: Any issue related to people’s lives is of paramount importance and there are still a lot of things in this respect the government must do. We will continue to improve people’s well-being in the process of developing the Chinese economy. We must put our focus on these key areas and major difficulties faced by our people. A big data survey suggests that issues related to aged and child care are still commonly felt difficulties for our people and this must draw closer attention from the government. The number of senior citizens at the age of 60 or above in China has reached 250 million, the number of those at or above 65, 170 million, and there are up to 100 million children in China below six years old. Services targeting these populations are still lacking, and they affect most of the Chinese families. How does the government plan to address this acute problem? In my local inspection trips, I have seen that some good experience has been gained in this respect, that is, to vigorously develop community-based providers of such services. If there can be accessible, quality services that are safe, reliable, and beneficial to all, they will certainly be very popular among the targeted populations. In this respect, the government needs to develop innovative mechanisms to better match market supply with our people’s demand. The government also needs to provide policy support. For example, we may provide public rental housing units for free to private operators as venues of facilities for providing assisted meal, assisted mobility, day care, rehabilitation, and even open senior colleges. The government may also provide tax exemption or tax-free treatment for these service providers in terms of their expenses on water, electricity and natural gas. These entities are all working together with the government to address our people’s actual needs. The main job of community-level officials and competent departments is to ensure fair market access and enhance oversight so that these services will be both safe and reliable, and those who break the rules will be driven out of the market.